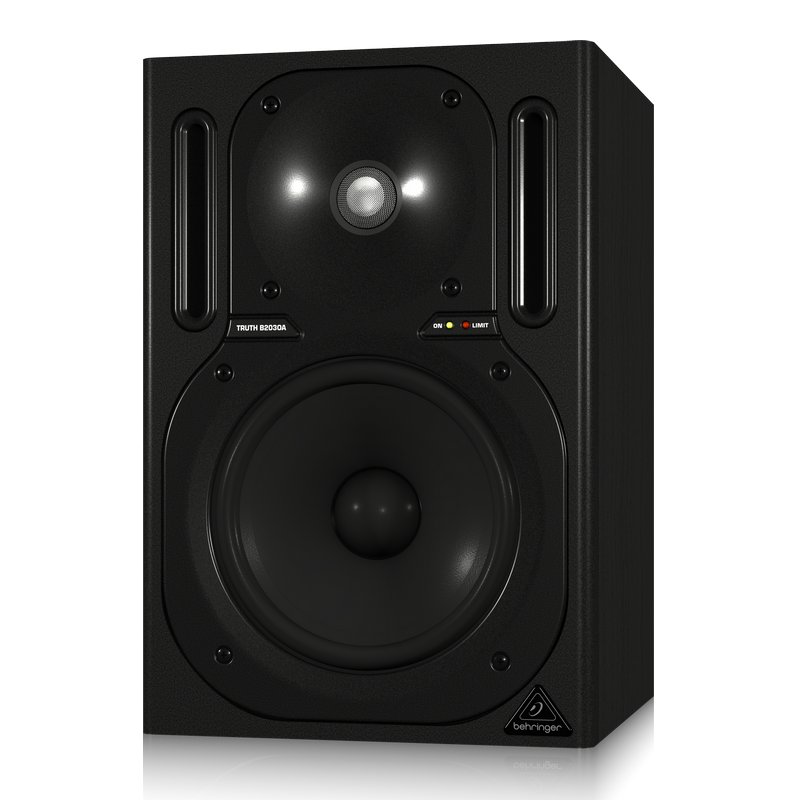 With its 125 ultra-clean Watts of output through separately-powered drivers, courtesy of true bi-amping (2 amplifiers per speaker system), the B2030A delivers high-resolution sound that really brings out the best in your music. 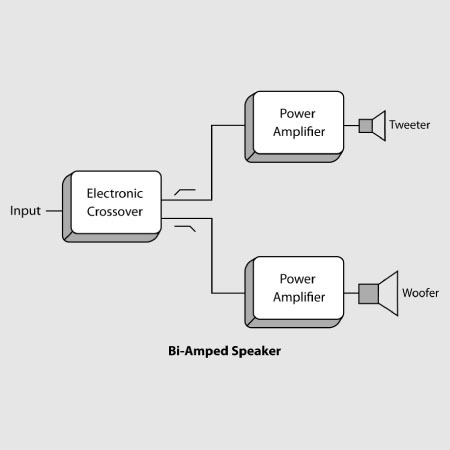 While some of our competitors apply simple passive crossovers, which inaccurately separate the frequency spectrum and degrade driver performance, BEHRINGER has gone the extra mile – driving each woofer and tweeter with a separate amplifier for the utmost in signal integrity. 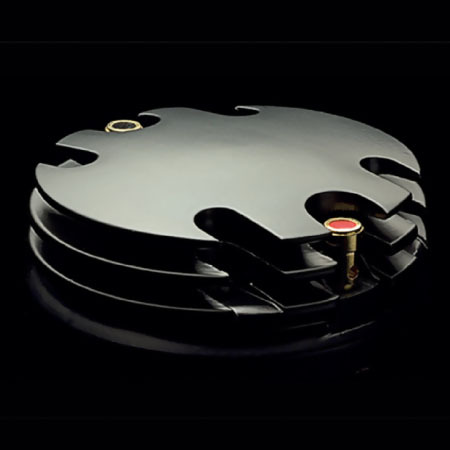 Powerful amplifiers coupled with state-of-the-art technology sure sounds impressive – but what about the part of the system you actually hear? 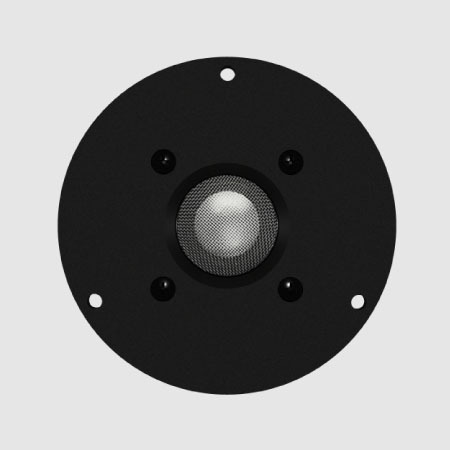 Our LF (Low Frequency) and HF (High Frequency) transducers are designed specifically for each application – it’s what sets us apart from the competition. 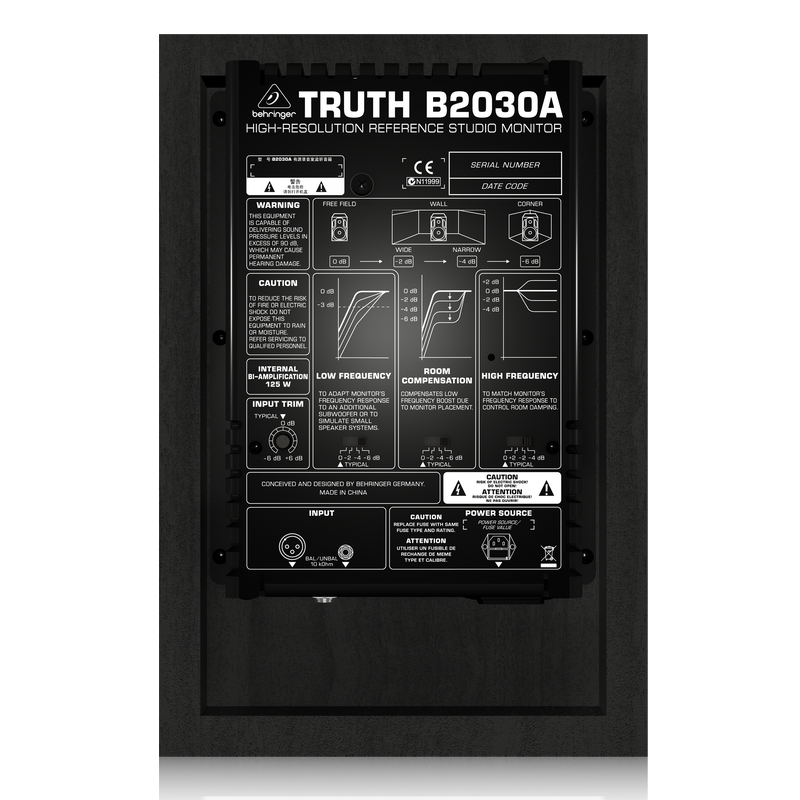 When you buy a TRUTH B2030A active monitor, you can rest assured the transducers inside have been engineered to perform flawlessly with every other element for truly professional results. 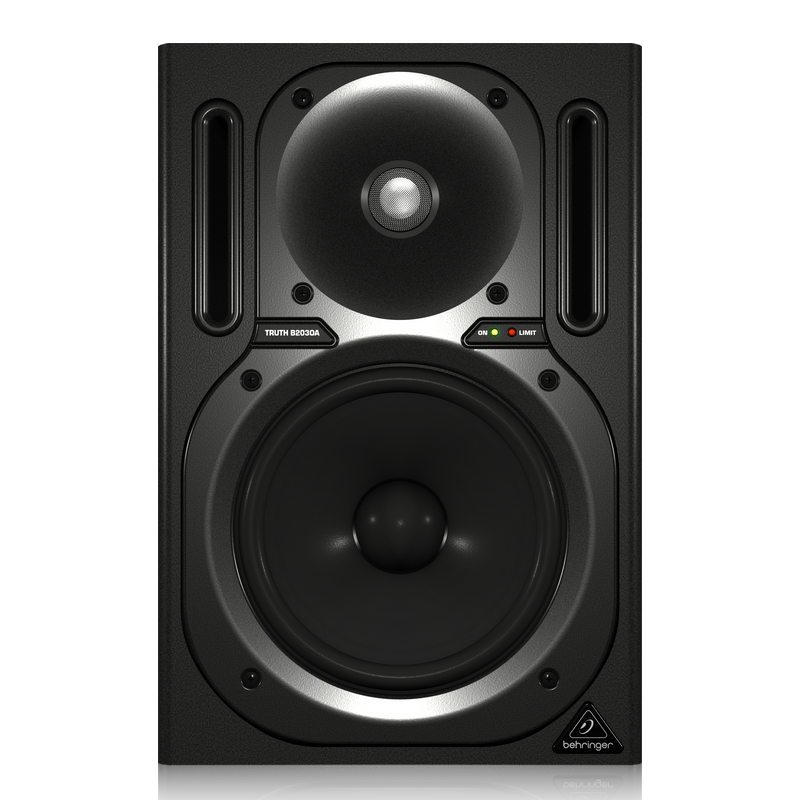 As a result, the B2030A provides ruler-fl at frequency response from 50 Hz - 21 kHz, with tight and accurate low end, articulately-detailed mids and crystal-clear highs. The B2030A’s HF (High Frequency) content comes courtesy of an ultra-high resolution 1.0" ferrofluid-cooled tweeter mounted on our proprietary wave guide. 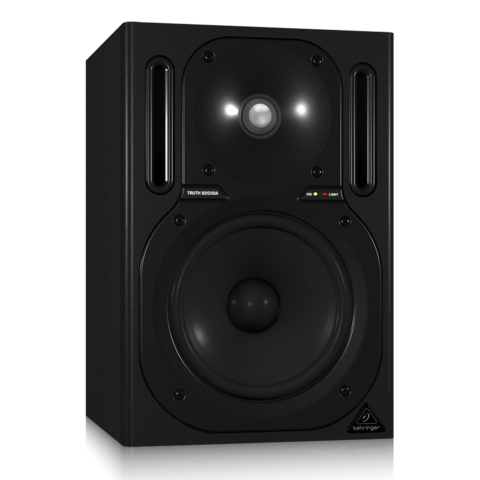 While some of our competitor’s studio monitors have a highly-focused “sweet spot” (the optimal listening position for a pair of loudspeakers), our wave guide is designed to create a much more generous, broader listening zone. 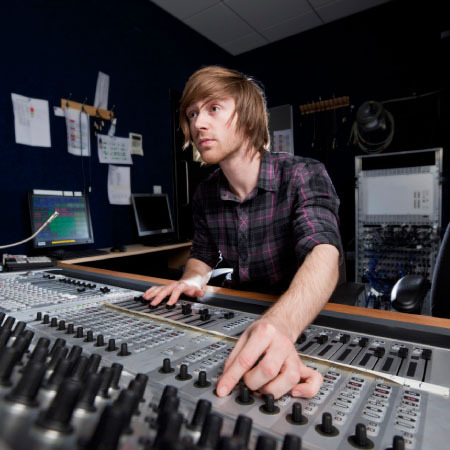 That means you are free to move around inside the stereo image to find the ideal spot in the mix for subtle instrument or effects placement opportunities. The ideal environment for listening is a room that is “flat,” neither too reflective (echoes) nor too absorptive (where the sound is muffled). 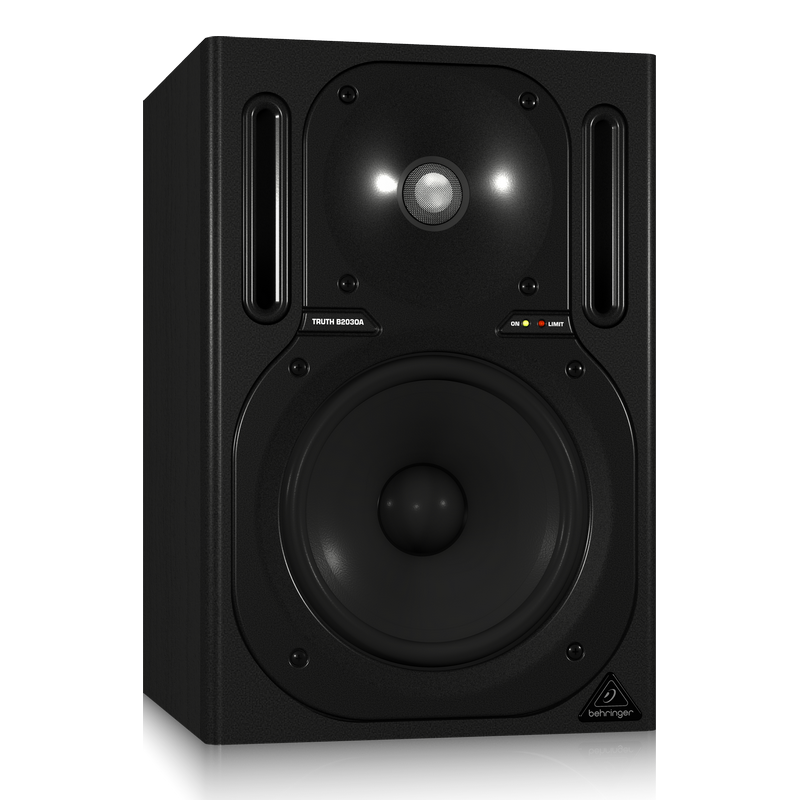 But since all rooms are not the same acoustically, all TRUTH monitors come equipped to function in a wide variety of environments. 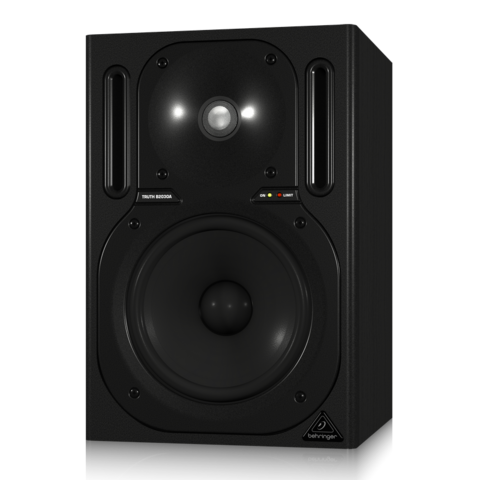 Rear panel filter switches are provided to adapt the monitor’s low- and high-frequency characteristics for optimal performance – specifically for your listening environment. Monitor placement is also critical. 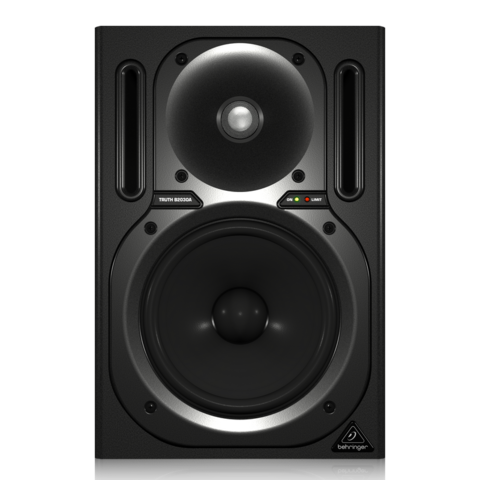 Ideally, all loudspeakers should be placed away from walls to ensure proper bass response. 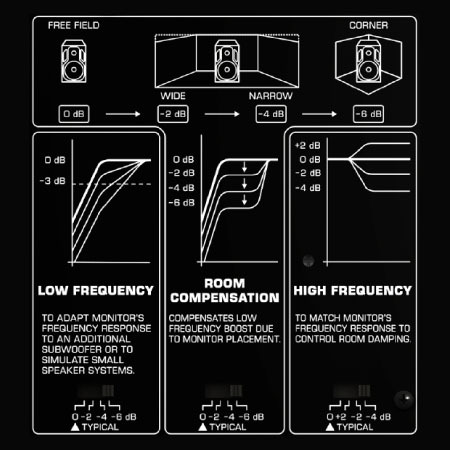 The B2030A features a set of Room Compensation switches so you can place it against walls, or even in corners. 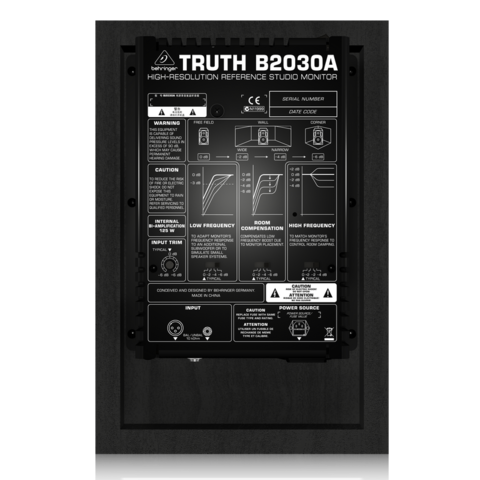 Walls tend to enhance low-frequency content, and corners exaggerate bass even more, but your B2030A TRUTH can be custom-tailored to provide honest bass response for your situation, with the simple flick of a switch or two.